﻿ Hocking Hills State Park - Ohio. Find It Here. 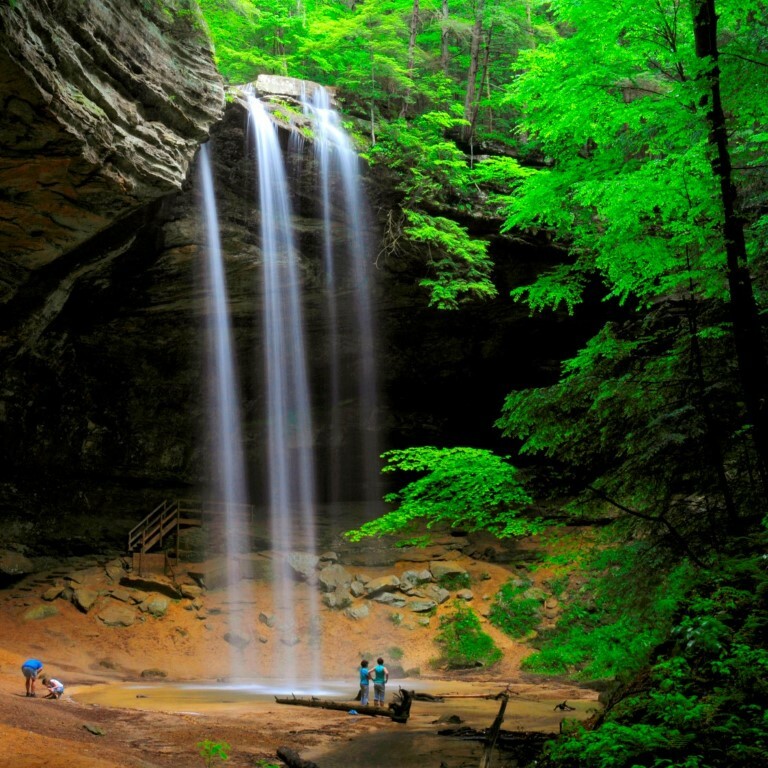 Located in southeastern Ohio, Hocking Hills State Park has received national and international acclaim as a top park to visit. Stunning in every season, visitors can look forward to views of wildflowers adorning the forest floor in springtime and vivid foliage in the fall. The park features towering cliffs, waterfalls and deep, hemlock-shaded gorges for hikers and nature lovers to enjoy and serve as a backdrop to popular facilities and accommodations.